California cuisine and cocktails on Broadway in Oakland. 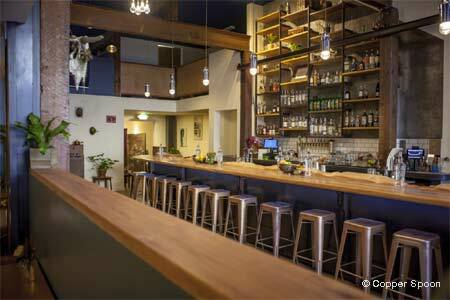 : Copper Spoon provides Oaklanders with a spacious option for playful, flavorful California cuisine and cocktails. Chef is Andre Hall.